Winegard Company, the leading U.S. residential, mobile and commercial antenna manufacturer since 1953, begins shipping the ConnecT 2.0 family of products, launching the brand into the next generation of video, voice and data connectivity for RVers and RV manufacturers. The ConnecT 2.0 creates an RV hotspot and maximizes speed, reliability and range from both WiFi and 4G LTE networks, ensuring customers can stay connected to their smartphones, laptops, media players and other devices. The ConnecT 2.0 WiFi Extender is available for $199 MSRP and the ConnecT 2.0 WiFi Extender + 4G LTE (ConnecT 4G2) model retails for $349 MSRP at Camping World and your local RV dealer. 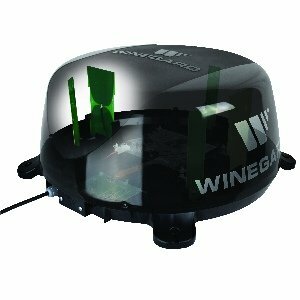 For OEMs, please contact your Winegard representative for more information.